Ghana international Frank Acheampong has joined China's Tianjin Teda on loan from Anderlecht. The Belgian champions say the move to the club in northern China is for six months only. 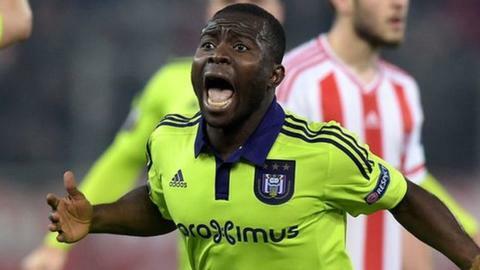 Acheampong, who turned out at left back for Ghana during the 2017 Africa Cup of Nations, regularly played as a winger for Anderlecht, who signed him in 2013. The 23-year-old joins Nigerians John Mikel Obi and Brown Ideye at the club, which lies 13th in the 16-team league. The bottom two teams in the Chinese Super League, which is at the midway stage of its season, will be relegated. During his two seasons with Anderlecht, Acheampong won two league titles - in 2014 and 2017. China's transfer window closes on 14 July.